The Emergency Response USA wall-mounted emergency transmitter button, is our most popular extra. It comes with Velcro adhesive tape for quick mounting, and its attractive design can fit in anywhere in your home. We highly encourage you to wear your Emergency Pendant as often as possible, but we know that wearing it 100% of the time can be challenging for some. That's why we recommend you have at least one wall-mounted emergency transmitter button in a central location on each level of your home. Water resistant our emergency transmitter buttons can be easily placed in areas of the home where falls are more likely to occur, such as the bathroom, near staircases. Our emergency transmitter button is completely wireless. We offer a few accessories that can highly supplement your Emergency Response System. Our Emergency Response Systems are highly effective on their own but with these added accessories you take extra precaution in being able to receive the emergency service you need when you need them. One of the most popular accessories that many of customers purchase with their Emergency Response Systems is an extra button. An extra button can be highly useful as it can be placed in an area in your home that is more prone to emergencies or an area where you frequent the most. We know sometimes you may want to take a break from wearing the pendant and having this extra button around where you are frequently at can be very useful. The button is not very obtrusive so it can be placed anywhere you like. The button is water proofed as well so it can be placed in places with high moisture levels like your bathroom. We also offer an additional wearable button. This button is perfect for others that you live with. In some emergencies you may not be able to push the button and another person may not be able to reach the button either. This is where this extra pendant can be very useful because the other person can quickly push the button and call the required emergency services immediately. If you live with someone that may be at risk of needing emergency services often then this button would be perfect for them. You may not be around all the time to push the button for them and they may not be able to reach the base unit to call for emergency services but if they had their own button that would eliminate that chance. These emergencies can be easily avoided, do not risk that chance. If you are fashion savvy and want to switch up your style every now and then, get an extra button as a necklace or wristband to match your outfit of the day. One of the best accessories we have to offer is the Emergency Key Safe. During an emergency you may not be able to reach the door to unlock it for emergency responders to get in. If that is the case, you do not want them to break anything to get into your home. We have a solution for this. We have a specially designed Key Safe that you can use to store keys outside of your home that is very durable and hard to break in to. The only people that would know where this case is at and how to unlock it would be our highly trained Emergency Responders and they would let the Emergency Responders coming to your home know that information so they can get in your home without breaking anything. This is just another solution that can easily prevent damages from occurring with very little risk. We have thought out what the best accessories for our systems are and they can provide extra precaution during emergency situations. Our Emergency transmitter button can be wall mounted using Velcro tape, or simply placed on a table. Velcro adhesive tape, for wall mount and 4 rubber "feet" are supplied for table-top use. 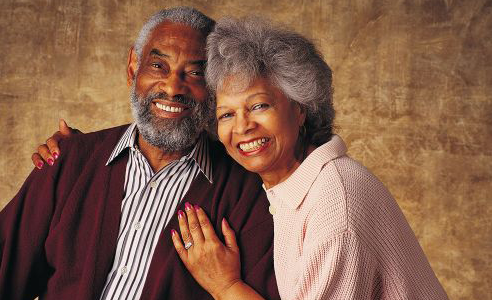 An additional Help Button allows your spouse or another person in your home to use the system. Available in pendant necklace and wristband styles, offering you a choice of what to wear and allowing you to offer protection to your spouse or others in the home. Our emergency Key Safe allows you to securely store your house keys outside your home. 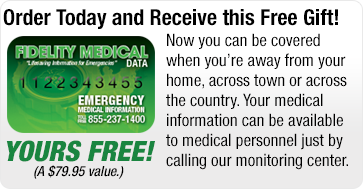 Emergency Response USA will only share the combination with emergency responders in the event of an emergency. This allows emergency personnel to enter your home without breaking down the door. The Key Safe is available to hang over your door knob. Large storage compartment can hold up to five house keys, car keys or padlock keys. Reinforced body withstands hammering and sawing. Attractive design blends with decor to minimize attention.